To ensure you are paying at or below average fees, invest only in mutual funds with total annual costs below 1.76%, which is the average total annual cost of the 6405 U.S. equity Style mutual funds we cover. The weighted average is lower at 1.02%, which highlights how investors tend to put their money in ETFs with low fees. Figure 1 shows American Growth Fund Series One (AMRAX) is the most expensive style mutual fund and Vanguard 500 Index Fund (VFFSX) is the least expensive. American Growth Fund provides four of the most expensive mutual funds while Fidelity (FFSMX, FSKAX, FXAIX) mutual funds are among the cheapest. Investors need not pay high fees for quality holdings. 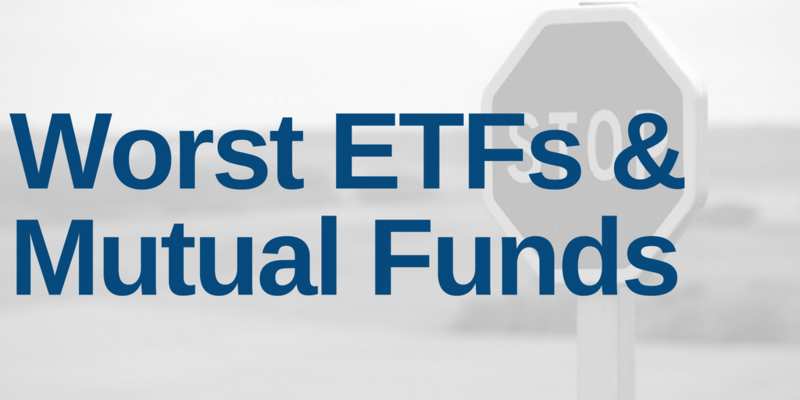 Vanguard 500 Index Fund (VFFSX) is the best ranked style mutual fund in Figure 1. VFFSX’s Neutral Portfolio Management rating and 0.02% total annual cost earns it an Attractive rating. American Beacon Alpha Quant Value Fund (AQVVX) is the best ranked style mutual fund overall. AQVVX’s Attractive Portfolio Management rating and 0.78% total annual cost earns it a Very Attractive rating. On the other hand, Putnam Equity Spectrum Fund (PYSYX) holds poor stocks and earns our Unattractive rating, yet has low total annual costs of 0.07%. No matter how cheap a mutual fund, if it holds bad stocks, its performance will be bad. The quality of a mutual fund’s holdings matters more than its price. Avoiding poor holdings is by far the hardest part of avoiding bad mutual funds, but it is also the most important because a mutual fund’s performance is determined more by its holdings than its costs. Figure 2 shows the mutual funds within each style with the worst holdings or portfolio management ratings. PACE Select (PCSGX, PVEYX) and ProFunds (OTPIX, SLPIX) appear more often than any other providers in Figure 2, which means that they offer the most mutual funds with the worst holdings. Huber Capital Mid Cap Value Fund (HUMEX) is the worst rated mutual fund in Figure 2. Footprints Discover Value Fund (DVALX), PACE Small/Medium Value Equity Investments (PVEYX), PACE Small/Medium Growth Equity Investments (PCSGX), Reaves Utilities & Energy Infrastructure Fund (RSRFX), ProFunds Small Cap ProFund (SLPIX), Spyglass Growth Fund (SPYGX), Integrity Energized Dividend Fund (NRIGX), and Linde Hansen Contrarian Value Fund (LHVIX) also earn a Very Unattractive predictive overall rating, which means not only do they hold poor stocks, they charge high total annual costs. Buying a mutual fund without analyzing its holdings is like buying a stock without analyzing its business and finances. Put another way, research on mutual fund holdings is necessary due diligence because a mutual fund’s performance is only as good as its holdings’ performance. Don’t just take our word for it, see what Barron’s says on this matter. This article originally published on July 30, 2018.